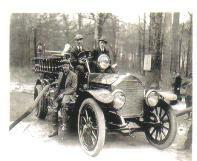 In February 1912 the fire company purchased a Columbia touring car for $200. 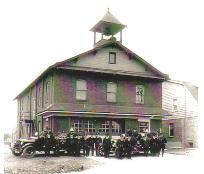 In 1912, the roof of the fire company was raised to build a second floor. Until 1962, the Ridley Township Municipal building was located on that second floor with its administration office. Next to the engine room, where the trucks were kept, was the working quarters of the Ridley Township Police Department unit their new building was constructed at Morton Ave. And MacDade Blvd. 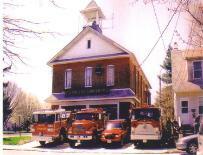 IN the later part of 2005, the fire company demolished its fire station for a new and modern one. The price tag of over a million dollars, was paid for by the hard working members of the company throughout the years, who had various fund raisers. Some had collected newspapers and scrap iron, to recycle and would travel to Philadelphia and Chester to collect a few dollars for those items. Throughout the years, members invested their funds so the company would collect interest on their investments, so today's members would have the funds to construct their new station. NO tax money from the residents was used for the construction of the new station which is located on site of the original fire station. One of the features in the new fire station is that each room has been dedicated to a past or present member. The meeting room is in honor of the late President, Hugh Maginnis; the chief's office is dedicated to Burt Blackburn; the lounge honors Bill Urian. 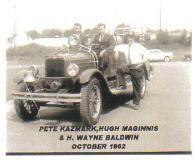 The Peter Maginnis Banquet room, named after current president Peter Maginnis is available for rent and the engine room is name after past and present members of the fire company. Today the fire company operates with three engines and a chief's vehicle which was donated to the company by PECO in 2001. 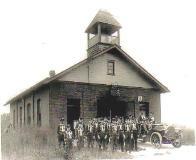 On September 8,2008, the fire company will celebrate its 100th anniversary. The men and women of the Folsom Fire Company would like to thank everyone for all their support over the years.